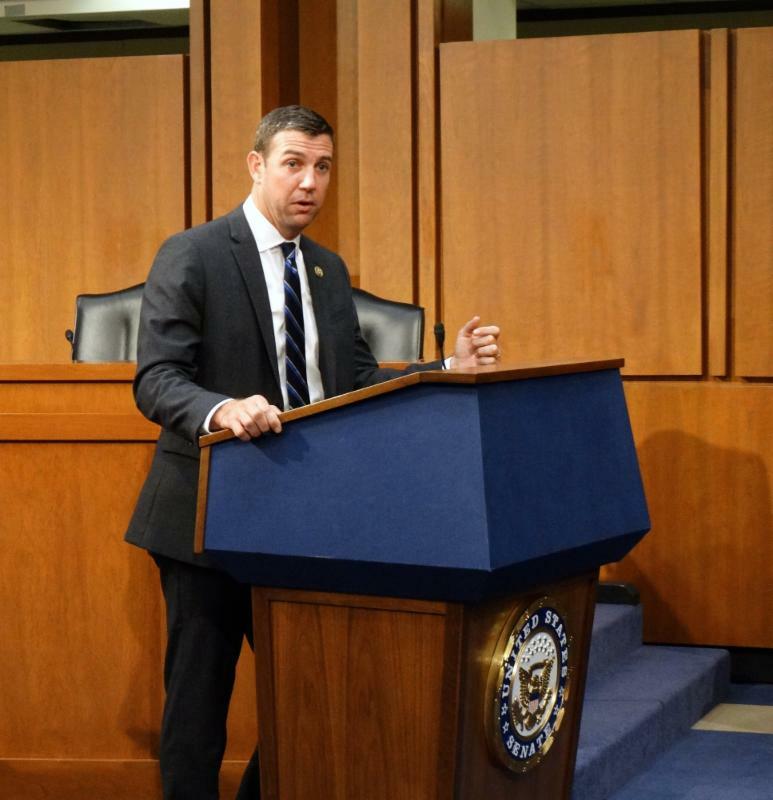 Day two of the National Indian Gaming Association (NIGA) Summer Legislative Summit got underway with Congressman Duncan Hunter (CA-50) who delved right into issues effecting his home state of California. With a number of tribes who partake in Indian gaming, his district is very familiar with tribal labor law. The Education and the Workforce Committee, which Congressman Hunter sits on, spearheaded the Tribal Labor Sovereignty Act of 2015, a bill that amends the National Labor Relations Act (NLRA) to provide that any enterprise or institution owned and operated by an Indian tribal government and located on its lands is exempt from the NLRA. 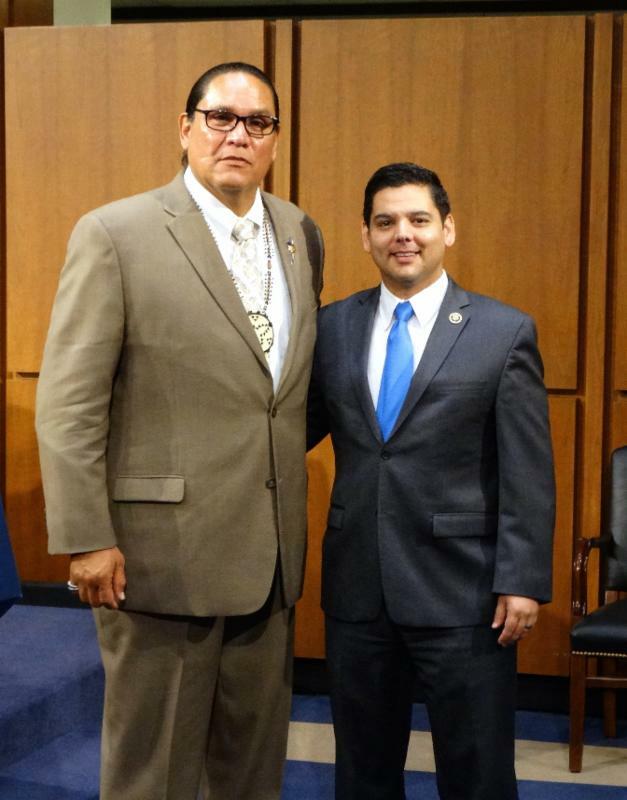 Tribal leaders heard from Congressman Raul Ruiz (CA-36) next as he spoke of how indigenous tribes are a vital fabric of this nation. Indian Country needs a clean Carcieri fix that would reaffirm the authority of the Interior to put lands into trust for tribal governments. He recognizes tribes as sovereign nations and called for a bipartisan effort to rid Indian Country of disparity and injustice. As the summit continued, Congresswoman Norma Torres (CA-35) addressed attendees with genuine interest and concern for barriers in Indian Country. She said all of us are responsible to provide an environment to help our youth thrive and that is why she is in support of the Oak Flat repeal bill. 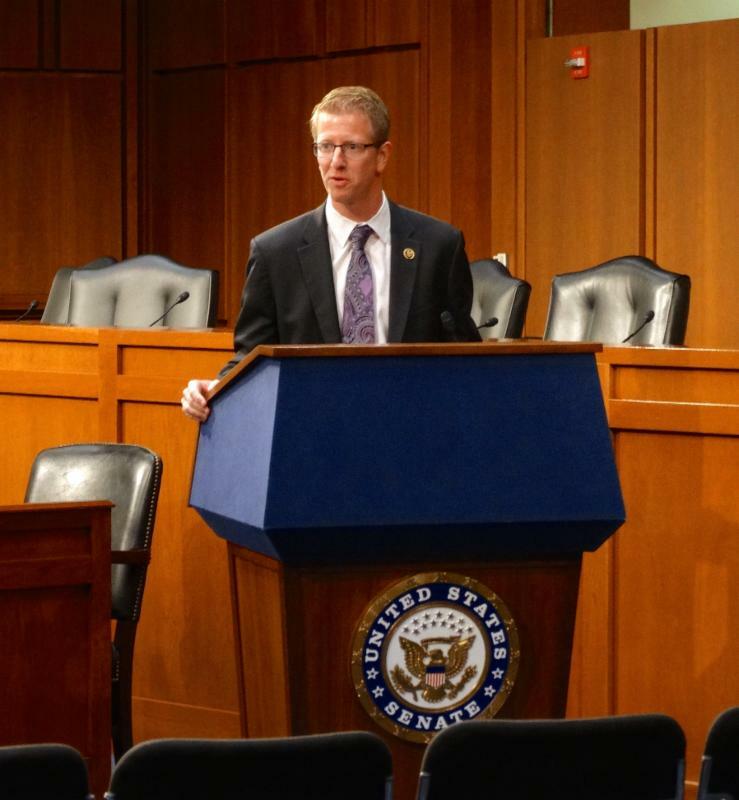 Congressman Derek Kilmer (WA-06) spoke to appropriations and the priorities for sovereign nations. Working with his colleagues on both sides of the isle, Congressman Kilmer is looking to fully fund Bureau of Indian Affairs (BIA) and Indian health services. He also talked about the conditions that limit some of our tribes such as the rising sea level in Washington State with the reintroduction of the Tribal Coastal Resiliency Act, a bill to support Native American tribes living in coastal areas and facing threats from severe weather. He said he respects the role of gaming in Indian Country and wants to ensure Internet gaming includes tribes. He also stated that access to broadband is needed in Indian Country. 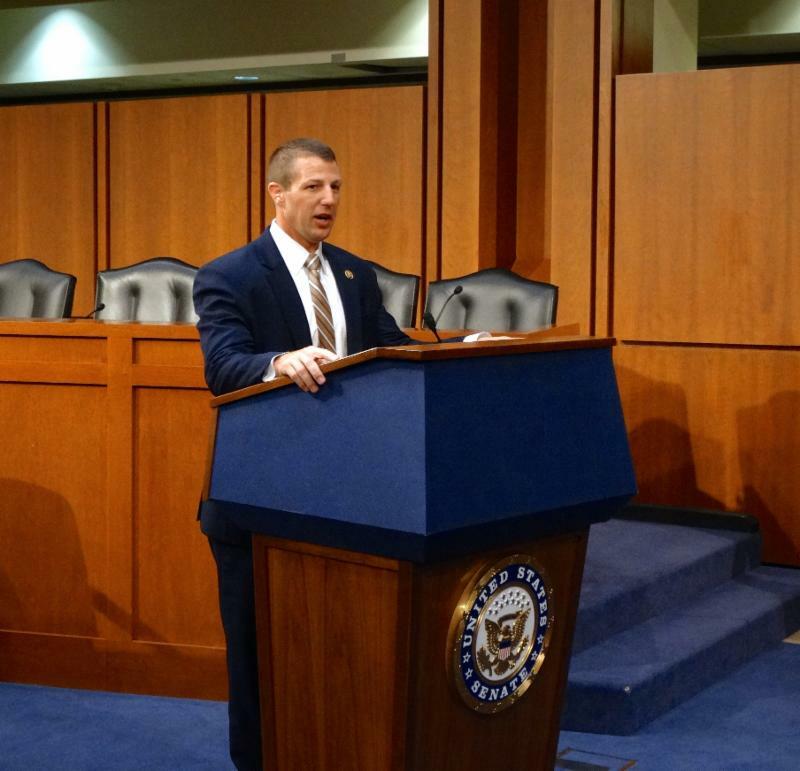 Next on the summit agenda was Congressman Markwayne Mullin (OK-02) who encouraged Indian Country to speak in a united voice. He stressed the unique opportunity of tribes to have a powerful voice with bipartisan relationships as issues in Indian Country come down to sovereignty. Congressman Mullin reminded tribal leaders that just like other issues, we need to unite in the Internet gaming arena to ensure we have a say no matter which side of the debate we are on, in order for Indian Country to have a seat at the table. Friend to Indian Country Congresswoman Betty McCollum (MN-04) proudly declared her unwavering support to sovereign rights. Although she supports unions she also supports the inherent rights of tribes to self govern and be recognized as governments. With today's mark up on the Tribal Labor Sovereignty Act of 2015, Congresswoman McCollum expects tribes to do right by their employees as they always have. Moving along, Senator Steve Daines (R-MT) used the Northern Cheyenne Lands Act, which corrected a federal error that hindered the Northern Cheyenne Tribe for more than a century, to illustrate the journey Indian Country as been on and the long road ahead. With self-determination and sovereignty at the forefront it is now more than ever that we need to strengthen our government-to-government relationships. Senator Daines continued and spoke to the unemployment in his region and urged tribes to utilize their natural resources to provide jobs while protecting their homelands. If we build upon that we may see economic growth and development. Congressman Tom McClintock (CA-4) also addressed tribal leaders. He stressed that policies from Congress should focus on preserving sovereignty. Tribes should have the freedom to prosper in their own way on their lands. 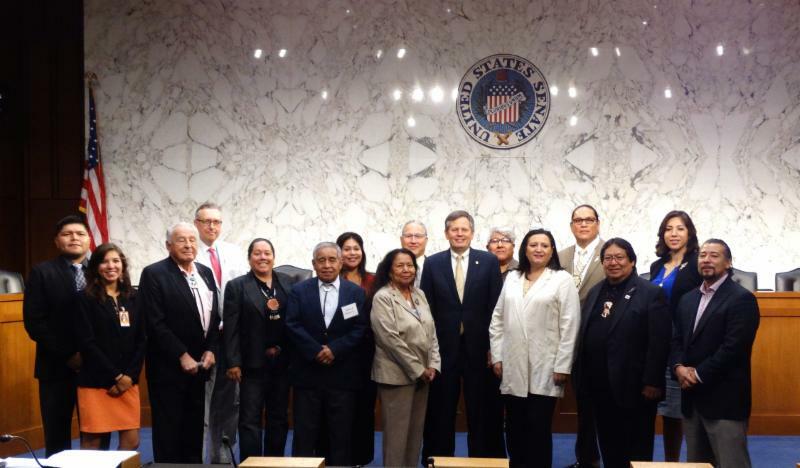 Another major supporter of Indian Country, Congressman Tom Cole took the opportunity to speak to the tribal leaders about appropriations, healthcare and education. There is a bipartisan effort to fund BIA schools and healthcare initiatives. With support from the Obama administration progress is being made to impact the operations of agencies. He stated we would keep working on all these fronts in a bipartisan fashion. Congressman Jeff Denham (CA-10) followed up and reiterated a need for a clean Carcieri fix. As a strong supporter of veterans he also advised tribal veterans to apply for a BIA reimbursement under H.R. 1131, a bill Congressman Denham introduced earlier this year. The bill lessens the burden on disabled veterans by extending military commissary and exchange store privileges to former service members and their families. With California State compacts coming up for re-negotiation, he wants fair negotiations between the state and tribes. The morning continued with Congresswoman Suzan DelBene (WA-01) who jumped into a discussion about investments and planning. She wants to see investments in Indian Country that would grow our economy as a whole. Laying out long-term planning will allow tribes to better prepare our future generations to succeed. Senator Jerry Moran (KS) is also looking to subsidize issues tribes are facing as he views them as bipartisan issues that all of Congress can assist with. He understands that tribes can make the best decisions for themselves and use Congress as a support. Senator Moran is anxious to see bipartisan efforts lead to progress like with the Tribal General Welfare Exclusion Act. Before the morning ended summit attendees briefly heard from Congressman Dan Benishek who let tribal leaders know his door is always open. 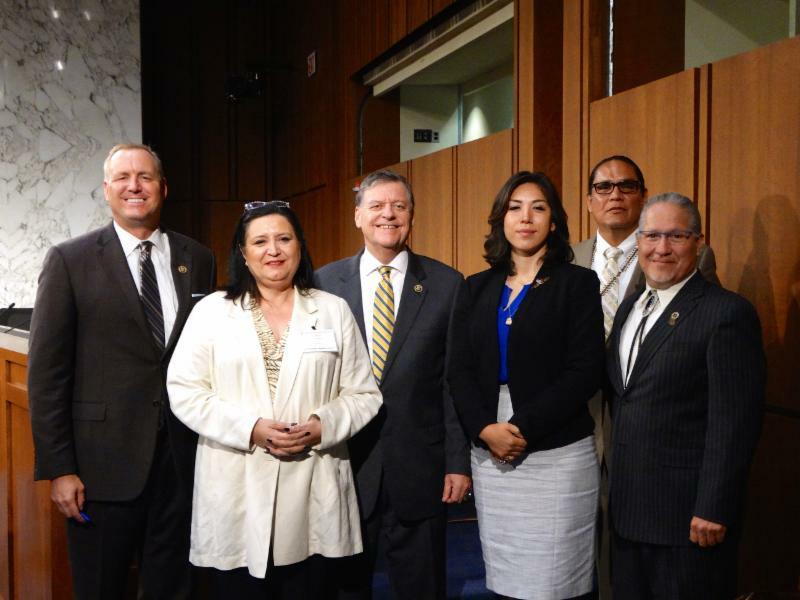 Having eight tribes in his district, Congressman Benishek is no stranger to issues surrounding Indian Country. 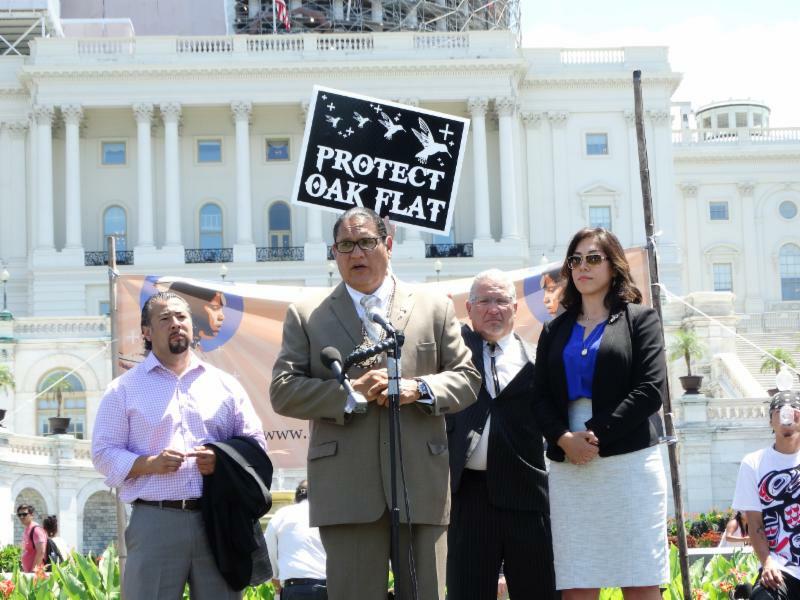 After the NIGA Summer Legislative Summit tribal leaders took to the lawn of the nation's capitol for a rally to save Oak Flats. NIGA Chairman Stevens, Secretary Paulette Jordan, board member David Bean and the Midwest Alliance of Sovereign Tribes Executive Director, Scott Vele took to the rally stage to share a few words of encouragement. Protecting our sacred sites like the Oak Flats of Arizona is imperative to preserving our culture.